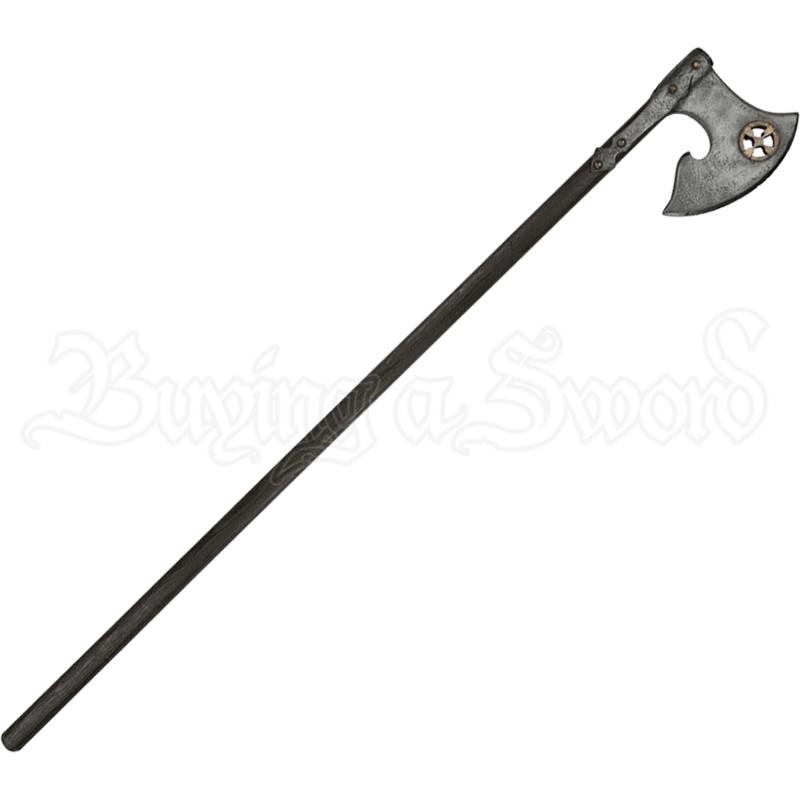 Bring grim reckoning from afar when you wield the Battle-Worn Yngvar Raven Feeder LARP Axe. This long LARP pole weapon is a bearded axe head with an impressively long, wood look haft, made of LARP combat-safe Calimacil foam, which is latex-free and highly durable. Inside is a flexible and strong fiberglass core. Weathered and scarred by hand for a battle-worn look, this Viking LARP axe has a bit of a wicked vibe, its dark steel color accented with an antique bronze tone cross cut-out and rivets. The simulated wood haft also has battle scars on its length. These realistic, handcrafted details are unique to each LARP weapon, meaning no two look exactly alike. 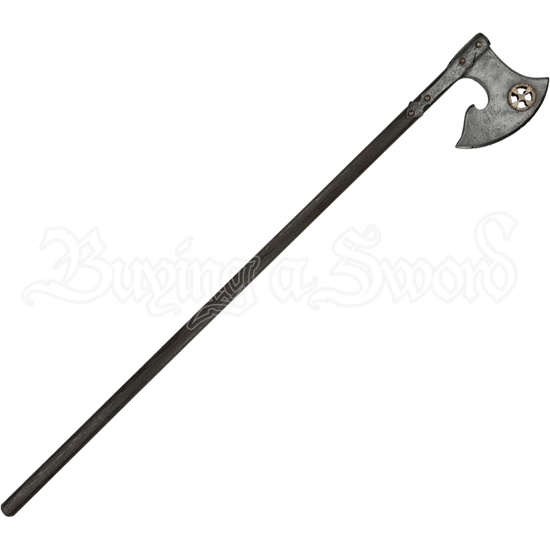 Make sweeping blows at enemies while keeping your distance with this weathered LARP, well-suited for Norse fighters, medieval soldiers, and fantasy warriors of all kinds.